This entry was posted on February 19, 2013, in Cleveland and tagged Anthony Gaskins, city of cleveland, Cleveland, heart attack, loss, Tony Gaskins, TV20, TV20 Cleveland. Bookmark the permalink. Today we lost a great man and journalist, Tony Gaskins. Tony joined TV20 in September of 2006. He was an anchor and reporter for our Weekly News Wrap Up, as well as for the weekly public affairs program, Issues and Answers. 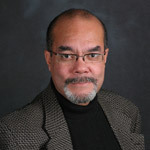 Mr. Gaskins was an Emmy Award winning reporter with more than 30 years of broadcast experience in the local television market. He suffered a heart attack Sunday, and passed away this morning. Tony was 56 years old and is survived by is ex-wife and son. Tony will be greatly missed. If you have any fond memories of Tony please feel free to share them with us. « Go Red For Women at City Hall!